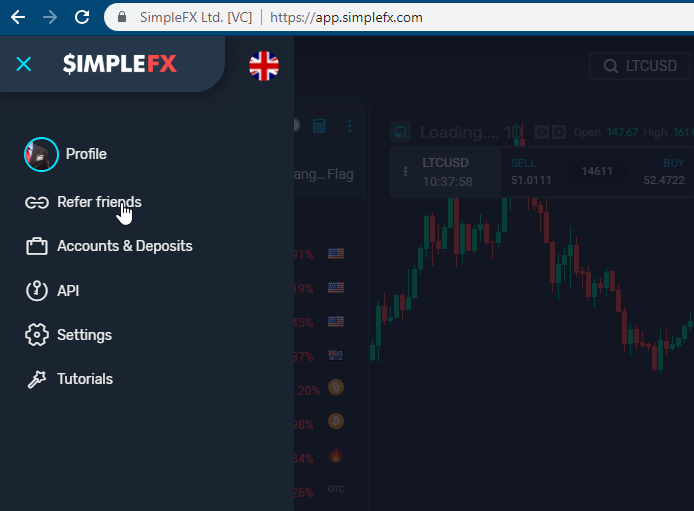 We have officially launched SimpleFX WebTrader 2.0. To encourage trying the new app we started a limited-time cashback offer that cuts by 20% the spread on each trade. 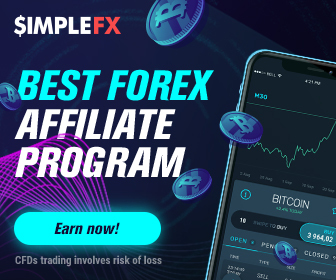 It's a great opportunity for every SimpleFX user to build up their affiliate networks. Here's our press release about the new app and the promo. Everything's ready in the Unilink.io Affiliate Marketing Tracking Software. 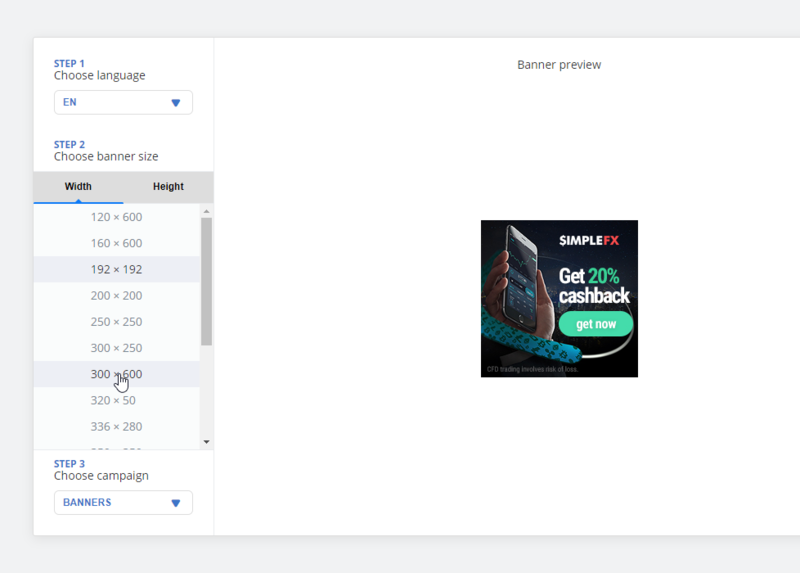 Here's a short guide on How to Launch a Cashback Promo Affiliate Campaign. 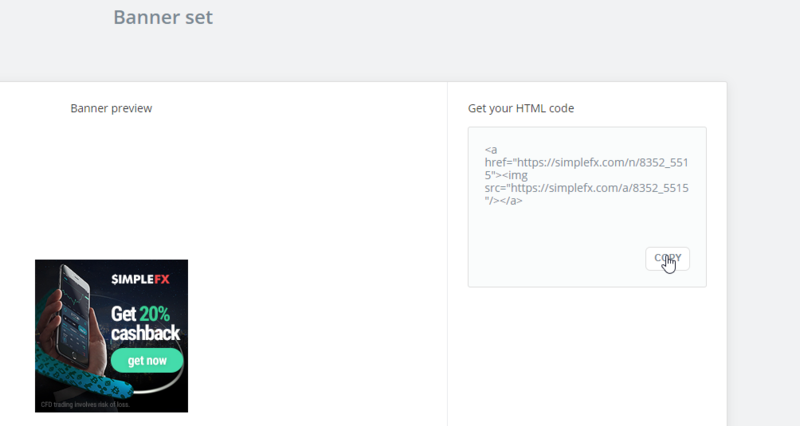 First, open Unilink.io dashboard by clicking hamburger icon ☰ and then on "Refer friends" tab. 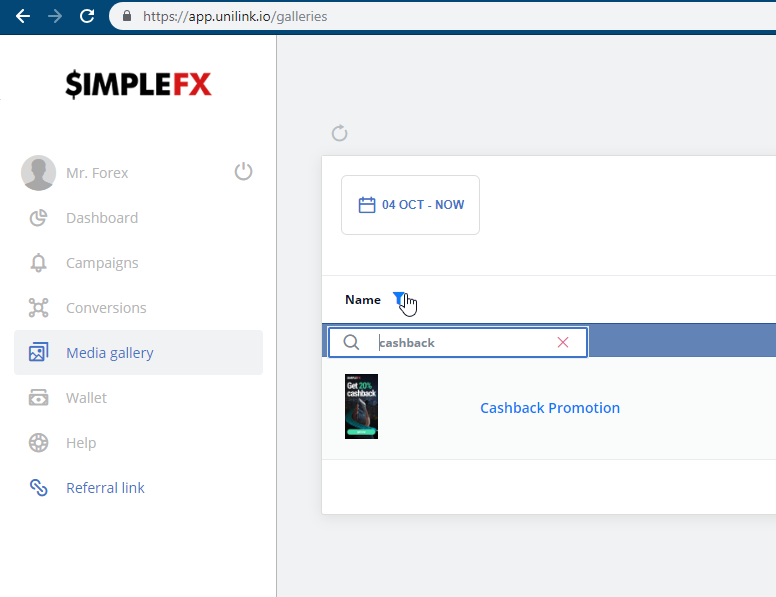 In the Unilink.io dashboard choose "Media gallery"
Now click the filter icon and type in "cashback"
Finally, copy the HTML code and paste it on your website or e-mail. It's also a good idea to set up a special campaign dedicated to our limited-time promo. It will be easier for you to manage it once it ends on the 8th of November. 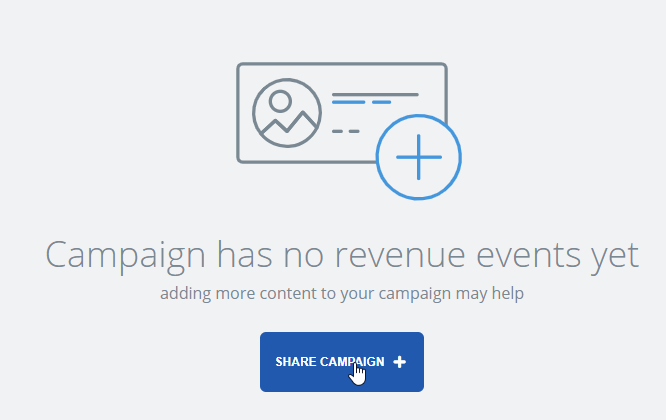 First, click "NEW CAMPAIGN +" in the "Campaigns" menu in Unilink.io. Type in the name, say "Cashback Promo", and click "CREATE CAMPAIGN". Share the Campaign to drive revenue. Choose the sharing method. Links are the easiest to start. Copy the link to clipboard and insert them on your page, e-mails direct messages to friends or social media. 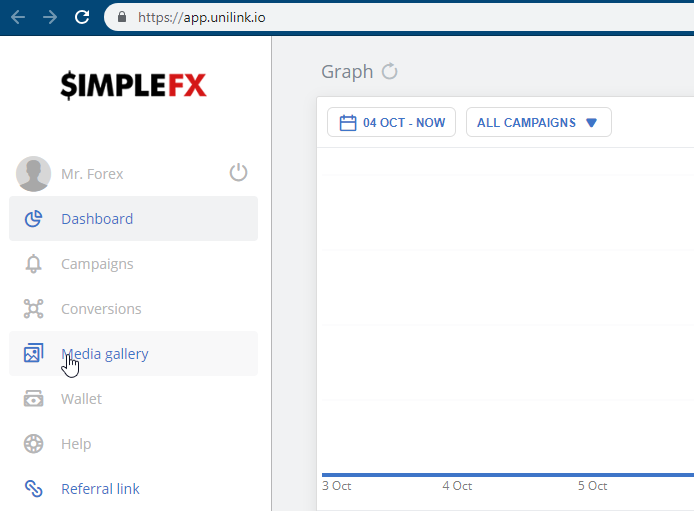 If you have any questions write them in the comments or contact SimpleFX support. 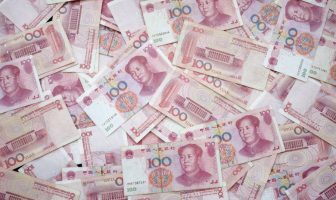 Good luck with building your affiliate empire! Next Article Can you predict the USA nonfarm payroll result? Give it a try and get $250 each month!